This book won the Pulitzer Prize for fiction. Olive’s vision is so relentlessly dark that the reader barely gets a glimpse of the apparently beautiful New England seacoast town where she lives. There are some other stories about townspeople thrown in, but every one of them exemplifies lost hope, unfulfilled longings, pathetic and doomed attempts to reach for a spark of life or a moment of joy. Olive has apparently infected the whole town with permanent gloom. A personality disorder is a deep-seated, long-lasting, inflexible pattern of deleterious behavior. 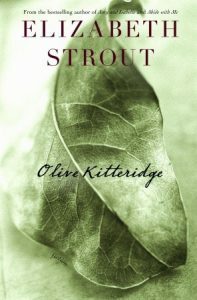 Olive clearly suffers from a personality disorder, and the book’s portrayal of it may be clinically accurate. But it makes for an awful read.